Factory Certified Pre-Owned Cars a Good Choice? Are "Factory Certified Pre-owned" cars a good choice? Used Car - Any used car is, obviously, pre-owned. Not all cars that are pre-owned are considered certified. A third party sale is usually considered a "Buyer Beware" issue and should definitely be checked properly by a certified technician. Factory Certified Pre-owned - This type of auto is offered for sale by a dealer with the support of the vehicle's original manufacturer, with warranties that extend beyond the vehicle's initial coverage. The original manufacturer of the vehicle is using their dealership to inspect the vehicle. The dealer uses a checklist to determine if the vehicle is worth certifying. If it passes certain tests, it will earn an extended warranty. 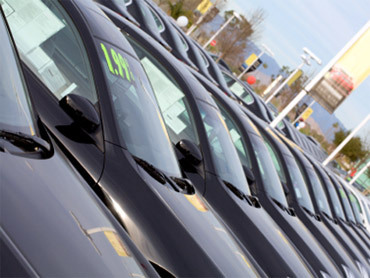 Tip: Not all certified used car programs are the same. Review the various manufacturer certification programs to see which one offers the most complete coverage. You should carefully check what the certification means and what the warranty covers. No matter if you choose pre-owned or factory certified, get the vehicle identification number (VIN) and invest in an independent inspection report to make sure that the vehicle has not been in a major collision or flood damaged. When buying a used car, it's often hard to find the exact car you want. I suggest you do some looking around and make a list of the potential cars that will work for you, and then test-drive them all. Make sure to use the internet-not just for finding a car but also to find out about recalls, technical service bulletins and recall information. There are also blogs and websites that have opinions from drivers of certain makes and models. Research will also arm you with more questions to ask the dealer or individual who is selling the car. I have a rule for car shopping: "If it's meant to be - you'll find it." So don't settle for an "almost." Don't fall in love with a car that might be the right color but does not meet your needs. Don't catch yourself saying, "If it only had ABS or more trunk space or never had been in a flood." Each of those cases wasn't meant to be. The right auto is just around the corner, so keep looking! Reputation is everything - Look for locally well-known used-car dealers that back their advertisements with honesty, integrity and service. Ask friends and co-workers for their advice. Test Drives Are A Must - The dealers you choose should let you take a car out for a ride. Drive all of the vehicles that interest you so you can get an up-close and personal look at the options. If the dealer won't let you test drive the cars then walk away. Records Required - Even a vehicle bought at a wholesale auction has paperwork. This will tell where it came from, its sales history and all factory repairs. Make sure you see the title before you make an offer. Lien releases must be attached to the title-or else don't buy the auto. Inspection, As Required- A seller should let you take the auto to your certified technician for an inspection. If a seller won't let you have it inspected, it is a sign that you need to walk away. Written Warranties For Sure - There should be a 90-day minimum warranty from a dealer or-at least-lemon law paperwork. There won't be a warranty from private sellers. Be careful as those vehicles are sold "as is." In pricing your vehicle to sell on-line, you first need to know the minimum price you'd accept for your vehicle. If you don't know your minimum price, research similar vehicle values online - just as you would in buying a car. Determine what others are paying before you visit a dealer. There are websites that offer real market prices (that take into account all market variables) and give you bottom line pricing. These sites are usually updated monthly. This is a great way to find out what buyers are currently paying for new vehicles or what dealers and consumers are paying for and getting for used vehicles. Study - before you begin your negotiations. • Are you trying to sell your vehicle quickly? • Are you "just fishing" for a price and are you willing to re-list the vehicle if it doesn't sell right away? • Do you have another vehicle to drive? TIP: If you post your auction without a "reserve" price the vehicle will sell for the final bid price. Consider using a "reserve" price auction so you can at least receive the minimum you will take for your auto. Start the bidding price low to entice bidders to look and continue to bid. Professional auctioneers use a low starting price to allow more bidders to participate in the auction. More bidders give the vehicle a better chance of selling at a higher price. Note: With a No Reserve auction, the starting price is the actual starting price of your vehicle. However, since each bid could ultimately win, there are typically more bids driving the price higher. Are you looking to sell your car in a hurry with price not as important as convenience? Make your auction a No Reserve auction with a very low starting price. The final high bid will win the auction. Before you buy any used car from a private owner or a used car dealer, be sure to see a clean title that doesn't have a lien on it. If it has a lien (a lien is a form of security interest granted over an item of property to secure the payment of a debt you need a lien release or there is NO deal!